Boon Tat Street seems to have spruced up lately, with the opening of some new bars and kitchens. FYR Cycene Ond Drinc (pronounced as FIRE Kitchen And Drink), is the latest addition. The dining concept of FYR is simple. Just think of how cavemen cook their food. 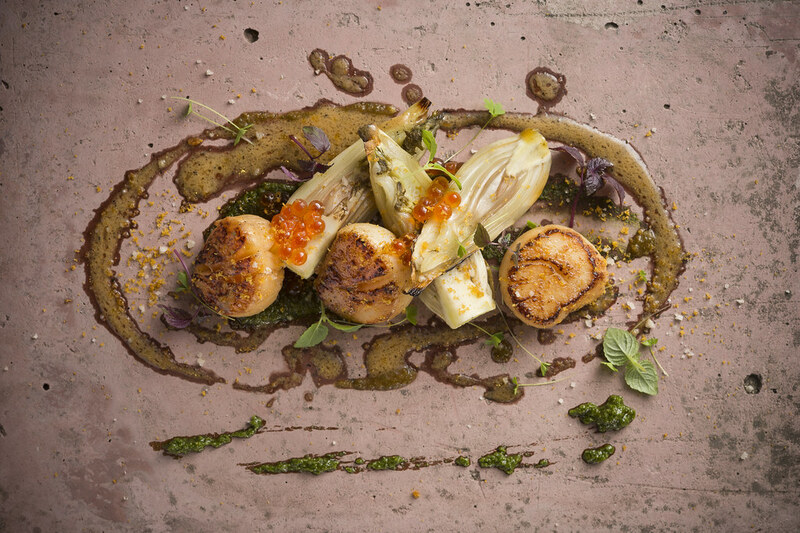 The chefs of FYR create modern European-style cuisines and dishes using the Josper Charcoal Oven and lychee wood which is known to give the dishes a smoky note with a tinge of sweetness. The storied wall murals which illustrate the etymology of fire, caught my attention the moment I walked in. Barely 2 weeks old, the hard wooden benches still smell like fresh off the trees! We started off the evening with 3 of their appetisers which were all very aesthetically pleasing. Out of these three, the Baked Half Bone Marrow ($15) stands out the most for me. The half bone marrows is spiked with Thai basil and Asian spices. 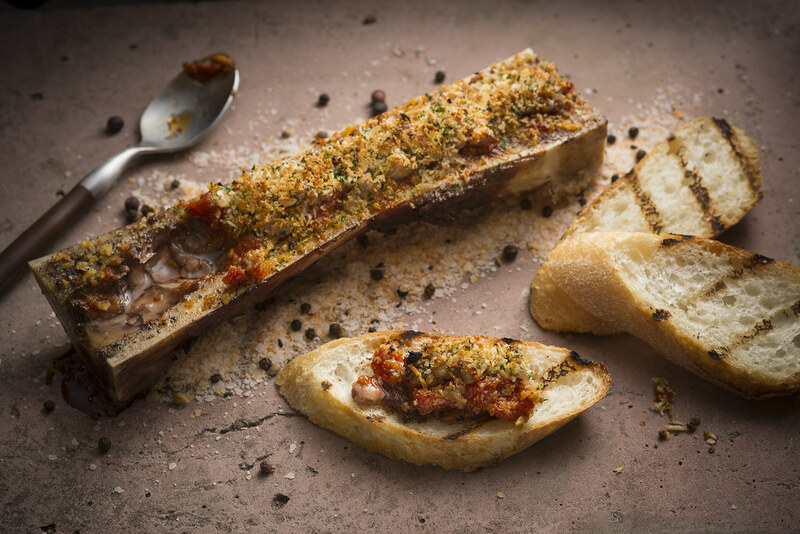 With the salsa, the bone marrow forms an appetising spread on the veal sweetbread. It was even more so when I sprinkled some salt onto it. I was rather disappointed with their Baked Freshly-Shucked Oysters ($15). It is topped with sweet paprika, roasted garlic, chilli padi, spring onion and calamansi. 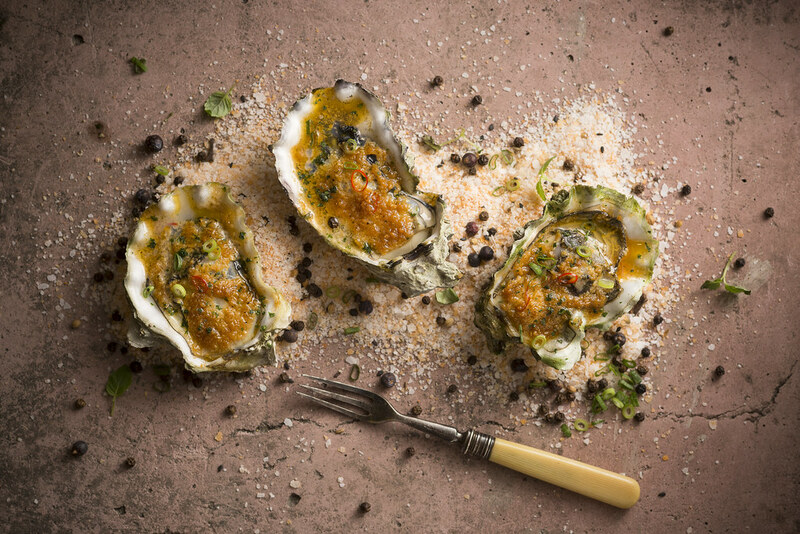 I still prefer my oyster to be cold and tangy, especially as a starter to wake up my senses. Their version is slightly too dull for me. As for their Baked Aubergine & Chickpea Ragout ($10), I find the combination of these two ingredients are rather unusual. But compared to the rest, it isn't the most exciting dish to order as a starter. For the mains, I must say what we had are really fine quality ingredients. 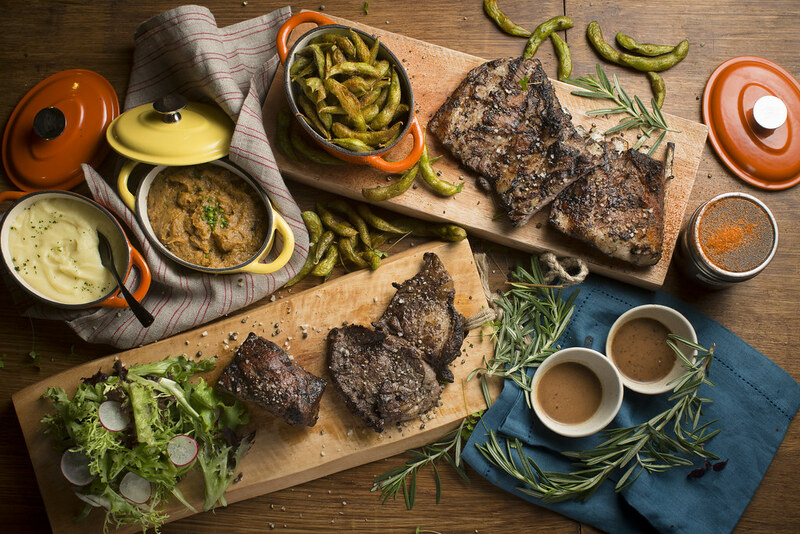 For sharing, you may try their Five-Spice Half Chicken, Striploin, Asian-spiced Tiger Prawn ($55). I really appreciate the simplicity of their dishes. With very little seasoning, I get to taste the real flavour of each meat. To stimulate your taste buds a little more, you may try dipping the meat into their specialty sauces - foie gras and truffle sauces. Each gives the meat a slightly different characteristic. Or if you feel like indulging in a good piece of meat all by yourself, their Grain-fed US Holstein Cow Ribeye 365 Days ($32) may satisfy your appetite. The richness of its fat lingered in my mouth for seconds. Such a fine piece of meat really needs no extras to heighten its taste. 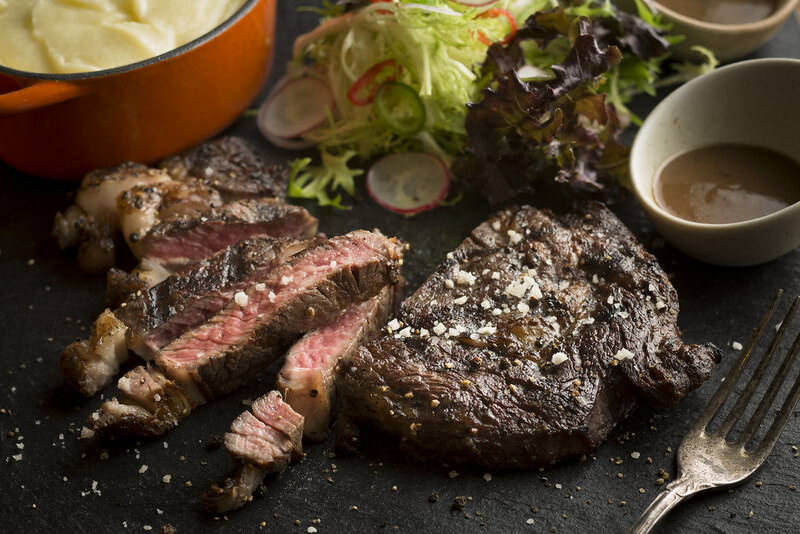 Just a simple grilling brings out the distinctive flavour of the beef. Both dishes come with house salad with java curry dressing, and you get to choose between buttered cassava or mashed potato. 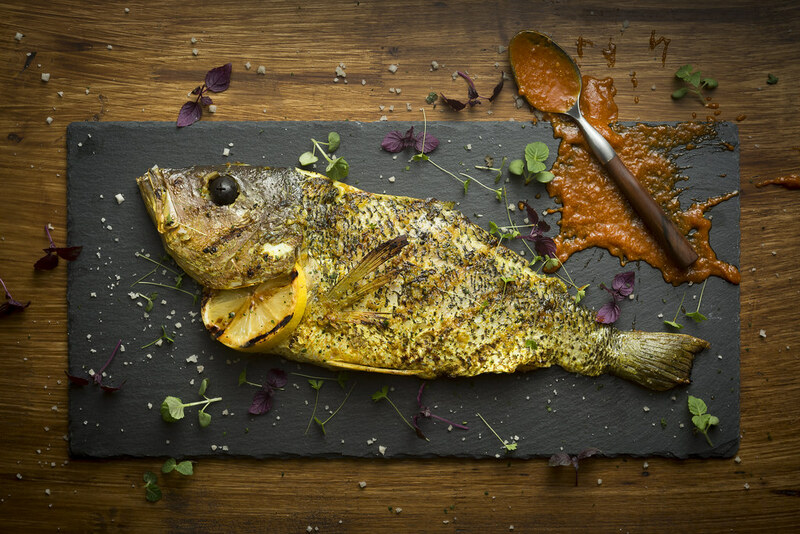 Spiced Deboned Red Snapper with Sambal Belacan ($25). With the sambal belacan, I can't help but equate this dish to my dad's favourite BBQ fish at the Boon Lay Hawker Centre but of course, this is of a much better quality. As you can see by now, FYR’s chefs are very into Asian spices. The use of Asian spices is even more pronounced in their Whole Maine Lobster ($35). I was awed when this gigantic lobster, sprawled across the plate was put on my table. 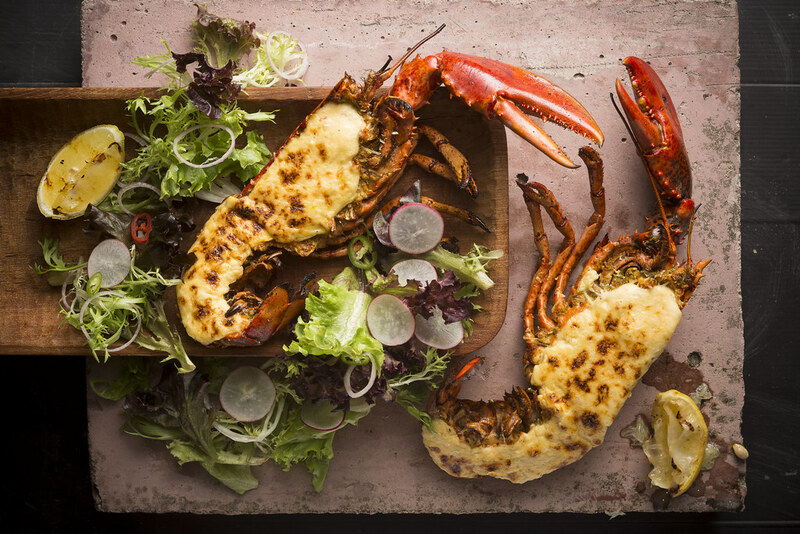 I was glad that the lobster remained firm under the shallot lemongrass béchamel. There are times when I got served with lobster that was over baked, which became mushy with the sauce on top. 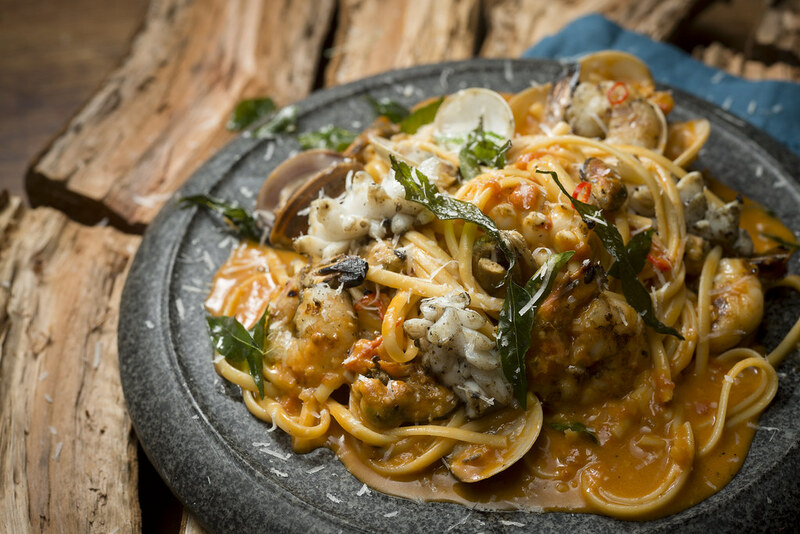 Their Seafood Linguine ($18) showcases another aspect of the chefs' culinary skills. The pasta was done al dente and the seafood ingredients were juicy and succulent. I quite like the tomato based sauce. It is slightly tangy and carries the flavour of the Laksa leaves and Thai Basil. 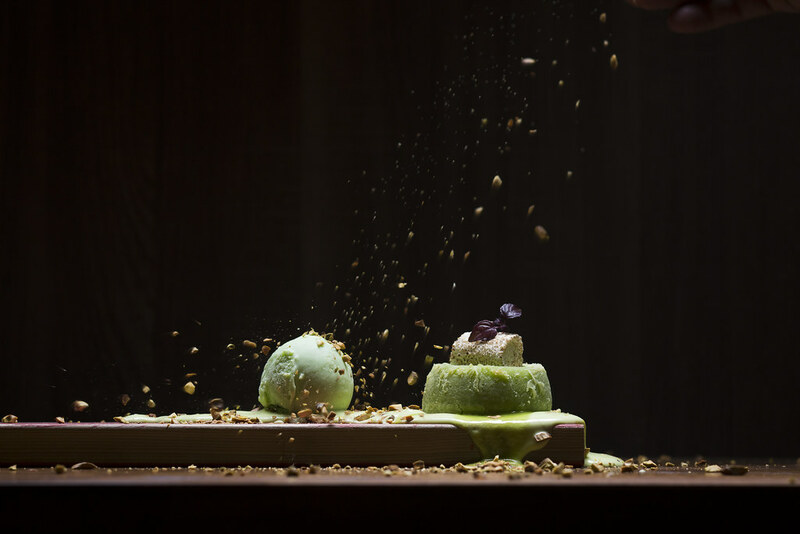 The aroma of pandan perfumed the air when the Baked Pistachio Melt & Pandan Ice Cream ($10). What a comforting aroma. Do make a point to try their well acclaimed dessert. The combination of Pistachio flavoured lava cake ( though it smells and tastes pandan to me) and homemade pandan ice cream is indeed quite divine. At FYR, it is really about the entire dining experience. Not only their food carries their identity, their drinks are fairly notable too. FYR’s special concoctions ($4.50 each) featuring apple rosemary, lime and mint, ginger lemongrass and hibiscus mint, are meant to cleanse your palates and invigorate your senses. But my favorite is their Grilled Fresh Fruit Juice (S$4.50). The seasonal fruits are grilled before juicing, giving your juice a rich and caramelized flavour. Remember the commercial by the candy Halls? My first sip of their pineapple juice transported me to the wilderness where the smell of burnt wood permeates the air. No doubt FYR has used all the fine ingredients which is really essential for charcoal grilled dishes. When the dishes are pretty much made of ingredients in their raw state, any drop in the quality would have been detected straight away. Though I feel that there is a lack of the surprise element in their dishes, FYR is successful in creating a strong identity for themselves. This is important when most of their neighbours are quite distinctive in their own ways. Well, with the sweet burnt taste of the pineapple in my mouth, they have succeeded in walking me through the woods, where I was once again surrounded by the comforting tinge of ash scent in the air.